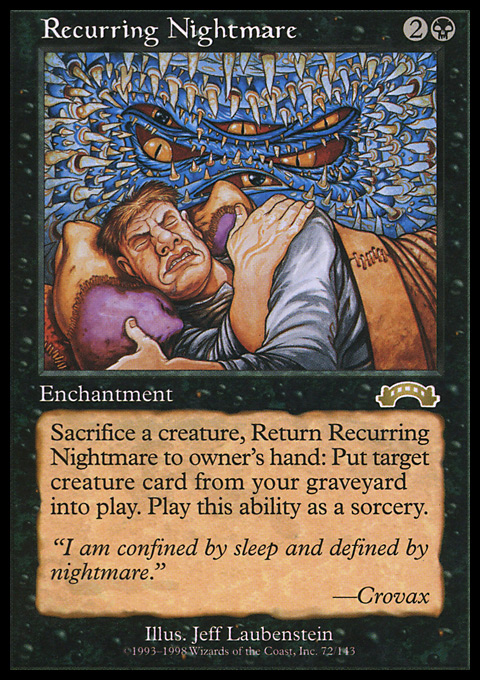 Recurring Nightmare is on the Reserved List. 2013-04-15 If you cast this as normal during your main phase, it will enter the battlefield and you'll receive priority. If no abilities trigger because of this, you can activate its ability immediately, before any other player has a chance to remove it from the battlefield.